Last semester, Alex Hirschfeld (my son) did a simulation to explore the possible efficiency benefits of the Mayflies concept proposed by Josh McKenty and me. In the initial phase of the research, he simulated a data center using load curves designed to oversubscribe the resources (he’s still interesting in actual load data). This was sufficient to test the theory and find something surprising: mayflies can really improve scheduling. Alex found an unexpected benefit comes when you force mayflies to have a controlled “die off.” It allows your scheduler to be much smarter. Let’s assume that you have a high mayfly ratio (70%), that means every day 10% of your resources would turn over. If you coordinate the time window and feed that information into your scheduler, then it can make much better load distribution decisions. Alex’s simulation showed that this approach basically eliminated hot spots and server over-crowding. On a system that is more consistent and does not have a massive virtual machine through put, Mayflies may not help with balancing the systems load, but with the social engineering aspect, it can increase the stability of the system. Most of the time, the requests for new virtual machines on a cloud are immutable. They came in at a time and need to be fulfilled in the order of their request. Mayflies has the potential to change that. If a request is made, it has the potential to be added to a queue of mayflies that need to be reinitialized. This creates a queue of virtual machine requests that any load balancing algorithm can work with. Mayflies can make load balancing a system easier. Knowing the exact size of the virtual machine that is going to be added and knowing when it will die makes load balancing for dynamic systems trivial. I must be crazy because I like to make products that take on the hard and thankless jobs in IT. Its not glamorous, but someone needs to do them. Analogies are required when explaining what I do to most people. For them, I’m not a specialist in physical data center operations, I’m an Internet plumber who is part of the team you call when your virtual toilet backs up. I’m good with that – it’s work that’s useful, messy and humble. Plumbing, like the physical Internet, disappears from most people’s conscious once it’s out of sight under the floor, cabinet or modem closet. And like plumbers, we can’t do physical ops without getting dirty. Unlike cloud-based ops with clean APIs and virtual services, you can’t do physical ops without touching something physical. Even if you’ve got great telepresence, you cannot get away from physical realities like NIC and SATA enumeration, BIOS management and network topology. I’m delighted that cloud has abstracted away that layer for most people but that does not mean we can ignore it. Physical ops lacks the standardization of plumbing. There are many cross-vendor standards but innovation and vendor variation makes consistency as unlikely as a unicorn winning the Rainbow Triple Crown. 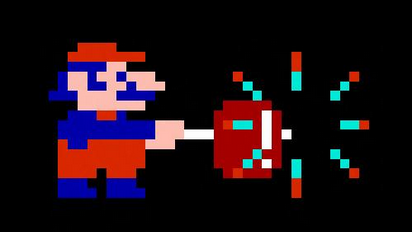 For physical ops, it feels like we’re the internet’s most famous plumber, Mario, facing Donkey Kong. We’ve got to scale ladders, jump fireballs and swing between chains. The job is made harder because there’s no half measures. Sometimes you can find the massive hammer and blast your way through but that’s just a short term thing. Unfortunately, there’s a real enemy here: complexity. 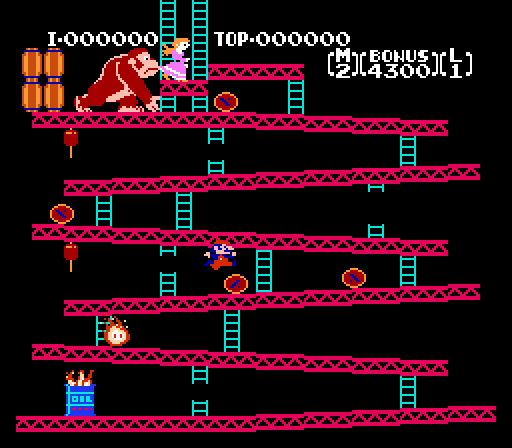 Just like Donkey Kong keeps dashing off with the princess, operations continue to get more and more complex. Like with Mario, the solution is not to bypass the complexity; it’s to get better and faster at navigating the obstacles that get thrown at you. Physical ops is about self-reliance and adaptability. In that case, there are a lot of lessons to be learned from Mario. If I’m an internet plumber then I’m happy to embrace Mario as my mascot. Plumbers of the internet unite! Ops is Ops, except when it ain’t. Breaking down the impedance mismatches between physical and cloud ops. We’ve made great strides in ops automation, but there’s no one-size-fits-all approach to ops because abstractions have limitations. Perhaps it’s my Industrial Engineering background, I’m a huge fan of operational automation and tooling. I can remember my first experience with VMware ESX and thinking that it needed tooling automation. Since then, I’ve watched as cloud ops has revolutionized application development and deployment. We are just at the beginning of the cloud automation curve and our continuous deployment tooling and platform services deliver exponential increases in value. These cloud breakthroughs are fundamental to Ops and uncovered real best practices for operators. Unfortunately, much of the cloud specific scripts and tools do not translate well to physical ops. How can we correct that? Now that I focus on physical ops, I’m in awe of the capabilities being unleashed by cloud ops. Looking at Netflix chaos monkeys pattern alone, we’ve reached a point where it’s practical to inject artificial failures to improve application robustness. 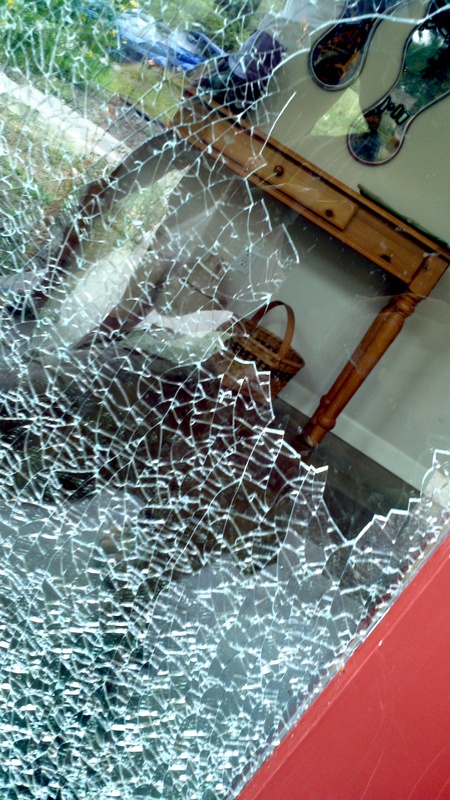 The idea of breaking things on purpose as an optimization is both terrifying and exhilarating. In the last few years, I’ve watched (and lead) an application of these cloud tool chains down to physical infrastructure. Fundamentally, there’s a great fit between DevOps configuration management (Chef, Puppet, Salt, Ansible) tooling and physical ops. Most of the configuration and installation work (post-ready state) is fundamentally the same regardless if the services are physical, virtual or containerized. Installing PostgreSQL is pretty much the same for any platform. 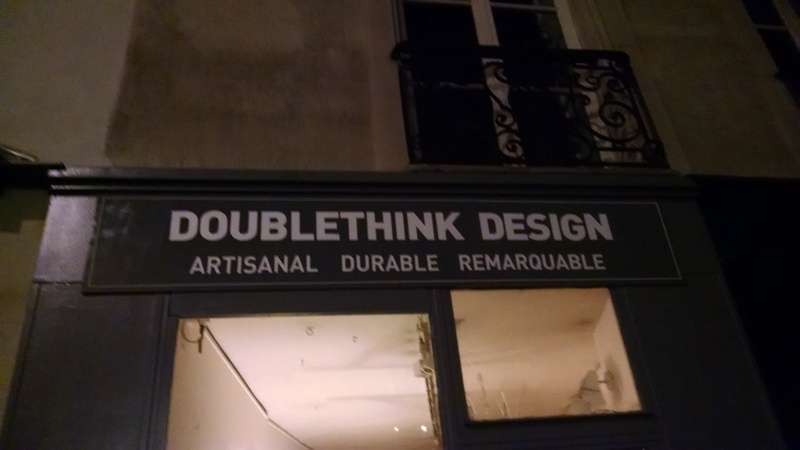 But pretty much the same is not exactly the same. The differences between platforms often prevent us from translating useful work between frames. In physics, we’d call that an impedance mismatch: where similar devices cannot work together dues to minor variations. An example of this Ops impedance mismatch is networking. Virtual systems present interfaces and networks that are specific to the desired workload while physical systems present all the available physical interfaces plus additional system interfaces like VLANs, bridges and teams. On a typical server, there at least 10 available interfaces and you don’t get to choose which ones are connected – you have to discover the topology. To complicate matters, the interface list will vary depending on both the server model and the site requirements. It’s trivial in virtual by comparison, you get only the NICs you need and they are ordered consistently based on your network requests. While the basic script is the same, it’s essential that it identify the correct interface. That’s simple in cloud scripting and highly variable for physical! Another example is drive configuration. Hardware presents limitless options of RAID, JBOD plus SSD vs HDD. These differences have dramatic performance and density implications that are, by design, completely obfuscated in cloud resources. The solution is to create functional abstractions between the application configuration and the networking configuration. The abstraction isolates configuration differences between the scripts. So the application setup can be reused even if the networking is radically different. With some of our OpenCrowbar latest work, we’re finally able to create practical abstractions for physical ops that’s repeatable site to site. For example, we have patterns that allow us to functionally separate the network from the application layer. Using that separation, we can build network interfaces in one layer and allow the next to assume the networking is correct as if it was a virtual machine. That’s a very important advance because it allows us to finally share and reuse operational scripts. We’ll never fully eliminate the physical vs cloud impedance issue, but I think we can make the gaps increasingly small if we continue to 1) isolate automation layers with clear APIs and 2) tune operational abstractions so they can be reused. Josh McKenty and I were discussing the common misconception of the “Puppies and Cattle” analogy. His position is not anti-puppy! He believes puppies are sometimes unavoidable and should be isolated into portable containers (VMs) so they can be shuffled around seamlessly. His more provocative point is that we want our underlying infrastructure to be cattle so it remains highly elastic and flexible. More cattle means a more resilient system. To me, this is a fundamental CloudOps design objective. We realized that the perfect cloud infrastructure would structurally discourage the creation of puppies. Imagine a cloud in which servers were automatically decommissioned after a week of use. In a sort of anti-SLA, any VM running for more than 168 hours would be (gracefully) terminated. This would force a constant churn of resources within the infrastructure that enables true cattle-like management. This cloud would be able to very gracefully rebalance load and handle disruptive management operations because the workloads are designed for the churn. We called these servers mayflies due to their limited life span. While this approach requires a high degree of automation, the most successful cloud operators I have met are effectively building workloads with this requirement. If we require application workloads to be elastic and fault-resilient then we have a much higher degree of flexibility with the underlying infrastructure. I’ve seen this in practice with several OpenStack clouds: operators with helped applications deploy using automation were able to decommission “old” clouds much more gracefully. They effectively turned their entire cloud into a cow. Sadly, the ones without that investment puppified™ the ops infrastructure and created a much more brittle environment. The opposite of a mayfly is the dinosaur: a server that is so brittle and locked that the slightest disturbance wipes out everything it touches. Dinosaurs are puppies grown into a T-Rex with rows of massive razor sharp teeth and tiny manicured hands. These are systems that are so unique and historical that there’s no way to recreate them if there’s a failure. The original maintainers exit happy hour was celebrated by people who were laid-off two CEOs ago. The impact of dinosaurs goes beyond their operational risk; they are typically impossible to extend or maintain and, consequently, ossify other server around them. This type of server drains elasticity from your ops team. Puppies do not grow up to become dogs, they become dinosaurs. It’s a classic lean adage to do hard things more frequently. Perhaps it’s time to start creating mayflies in your ops infrastructure.